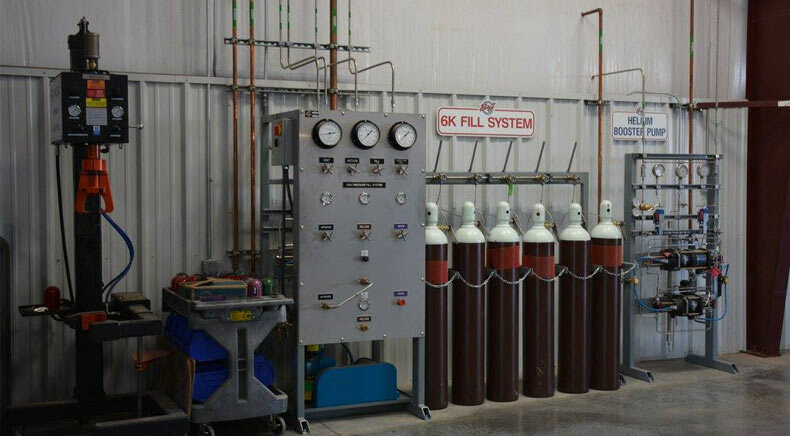 B&J Welding Supply provides an array of specialty gases, and as a Purity Plus member, have partnered with some of the top specialty gas laboratories in the nation. We also now produce UHP products at our Midland/Odessa location (something no other local gas company can claim). With B&J you will never ship a cylinder back to a vendor on a common carrier. We deliver and return all cylinders on B&J trucks unless you instruct otherwise. This keeps you focused on your business and lets us focus on the cylinders. Allow you to keep track of cylinders by department or unit. For gas blends that have expiration dates it will send you emails 90 days before the expiration date to keep you on top of your inventory. Put electronic signatures on every delivery ticket. Allows you to receive reports to break down usage and where your money is spent. Plus many more features to give you the power to manage your cylinder inventory. Today all high purity gases sold in the West Texas, Permian Basin, Panhandle, or South Plains area is either produced in Dallas, Albuquerque or beyond. This is too large of a distance to support all of the users in this heavy usage area. We have fixed this problem by building a high purity filling facility in Lubbock, Texas to service customers in these areas. This will lower costs, reduce lead times, and allow us to better service our customers. Please contact us at info@bjweldingsupply.com or 806-747-1542 for more information.